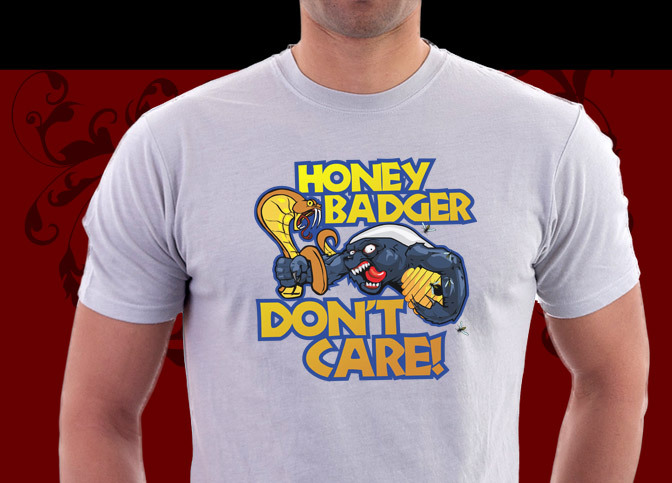 Honey Badger don't care t-shirt features an insane honey badger with a cobra and bee hive to parody the hilarious video by Randall on YouTube that's been sweeping the world with laughter. This is a crazy design for Honey Badger fans and you can only get it right here. Our Honey Badger Don't Care shirts are available in many hot styles and colors for everyone in your family!